Postpartum Depression… What is it? Postpartum Depression is a serious mood disorder that may occur in the first few months after giving birth. It has also been known to happen after a miscarriage or a stillborn birth. This mood disorder cripples a woman with an overwhelming state of feeling hopeless and worthless. As is the case with so many mood disorders, Postpartum Depression occurs on a continuum of severity. 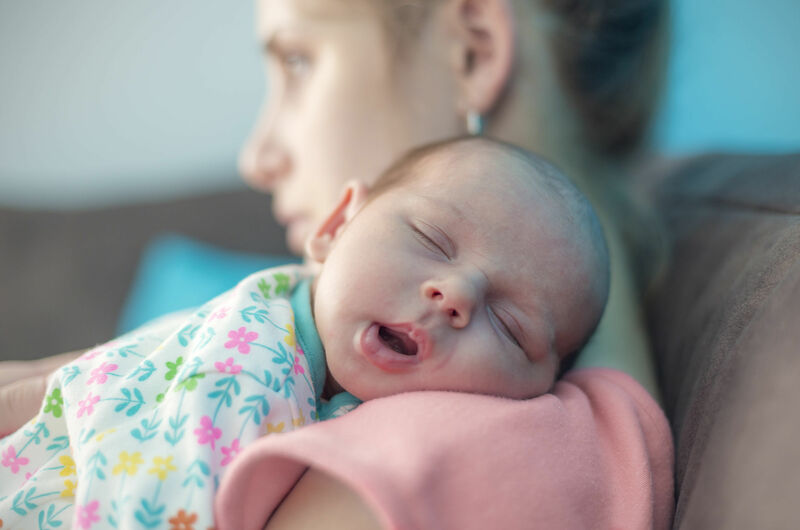 Mothers suffering from a more severe form of Postpartum Depression may struggle with caring for and bonding with their new infant. It’s important not to confuse Postpartum Depression with the more typical “baby blues” which dissipates after a few weeks. Postpartum Depression can go on for months. In sporadic cases, Postpartum Depression can reach the level of dangerous psychosis. This is an emergency situation in which the mother and infant are in immediate danger. One of the known risks for Postpartum Psychosis is a family history of Bi-Polar Disorder. What is the Cause of Postpartum Depression? Your life is full of various stressors. You have a family history of Major Depressive or Bi-Polar Disorders. Your support system is negligible. You’ve suffered prior bouts of depression or experienced a Postpartum Depression after a previous birth. Feeling profoundly empty, hopeless, incompetent, unworthy, anxious or sad. Anhedonia, which is a loss of the ability to experience pleasure in daily life. Loss of appetite and weight loss. But also note that some women with Postpartum Depression experience an increase in appetite and weight gain. Inability to focus and concentrate on daily tasks. Increase in alcohol consumption or other mood-altering substances to self-medicate. A feeling of being alone and bereft of emotional support. Research on Postpartum Depression… What Do We Know? Like many other mood disorders, early diagnosis and treatment are challenging because 87% of women don’t suffer from it, and those who do tend to suffer in silence because of the nature of the mood disorder itself. Postpartum Depression is stifling, isolative, and often off the radar. Fortunately, Postpartum Depression is not an orphan disorder. This mood disorder is heavily researched and treatable. But as with other mood disorders, your mileage with any particular course of treatment may vary. Stress over a lack of childcare resources. Real lack of a social support system. Whether it was an unplanned or unwanted pregnancy. The 2001 meta-analysis confirmed the findings of the earlier 1980’s era meta-analysis. 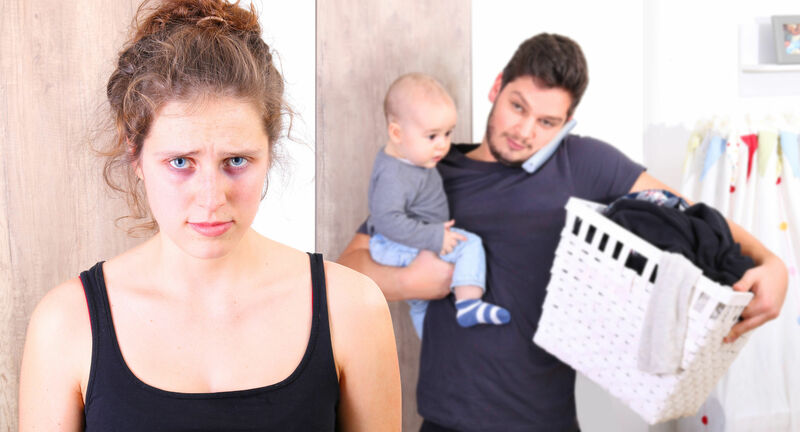 However, this new meta-review of the research after the 1980’s uncovered revealed four additional new predictors of postpartum depression: marital status, self-esteem, socioeconomic status, and whether the pregnancy was unwanted or unplanned. Your mind is now in a highly suggestible state. If a disturbing thought enters your mind, it may become a deeply negative splinter that is difficult to remove. Watch your internet use. Avoid topics which might scare or disturb you. Focus on positive and uplifting entertainment. Like videos? Perhaps a Disney diet instead of Saw 3 for now. Don’t Compare Yourself with Other Women who Claim they Have Postpartum Depression Effective Treatments May Vary. Like other mood disorders, there is an abundance of treatment options. There’s DBT ( dialectical behavioral therapy), CBT (cognitive behavioral therapy), support group therapy, individual therapy…literally all sorts of talk therapies. Talk therapies are helpful. And, of course, there are all sorts of medications as well; antipsychotics, tricyclics, serotonin reuptake inhibitors, serotonin, and norepinephrine reuptake inhibitors… yadda yadda, yadda. As for with any mood disorder, self-care is vital. New therapies even include full-spectrum light therapy, supplements, exercise, yoga, and new high-tech vagus nerve stimulation or transcranial magnetic stimulation. You need a physician who specializes or has significant experience in treating Postpartum Depression, as well as a mental health provider or science-based couples therapist on your treatment team. There are many helpful treatment options to choose from. Get a specialist to help you get started. Now. I know. This is easier said than done. But remember your thoughts aren’t real. They are only a symptom of your Postpartum Depression. This depression will lift. It’s not going to last forever. It only feels that way. Don’t Let the Sound of Your Own Wheels Make You Crazy. Take it easy. It can wait. The more you try to do, the more you’ll notice what you’re not doing well, and the more you will ruminate and torture yourself. Back off. Chill. Ask your partner to step up. One thing you really need right now is supportive people. Hold your negatives friends and family at a comfortable arm’s length while you recover. Ask for what you need…positivity, encouragement, and support. Remember those who were there for you, and once you recover, reevaluate any relationships that were problematic. Don’t Put It Off…Your Baby Needs You! New research indicates show that the psychological, emotional and physical health of your children will suffer if you don’t get help for your Postpartum Depression. But get help with any serious depression that occurs during your pregnancy too. Don’t wait or put it off. Your baby is twice as likely to be premature if your depression goes untreated during your pregnancy. And a premature birth can not only mean developmental problems, but it can also result in life-long health issues for your child as well. Get Treated Early…and Don’t Mess With Your Treatment Regime. Most new Moms with Postpartum Depression will bounce back to normal. But you will get better faster if you are treated sooner. The quicker you get treated, and the more effective the treatment is, the quicker you will return to your old self (Scadoczky et al., Journal of Affective Disorders, 2004). The worse your symptoms are, the longer it will take to for you to bounce back…but you will bounce back. Take ownership of your Postpartum Depression early on. And if you’re on medication, don’t change your meds willy-nilly. Other problems may complicate how effective your meds are. Some women just take longer to respond to medication. If you are under acute emotional stress or are not taking your medications exactly as you’re told, or if you have an active substance abuse problem, heart issues, or a thyroid problem, your treatment efficacy may stall. Talk to you doctor about the impact of your meds, and take them exactly as prescribed. Tell Your Treatment Team How You Are Doing. You have to tell your caregivers how you are responding to the treatment. They can’t treat you effectively without your feedback. But if they aren’t listening…find another provider who will. If your spouse is skeptical of your Postpartum Depression diagnosis, this might increase your stress and slow your recovery. A study on the role of family support in recovery from Postpartum Depression suggests that emotional support is significantly correlated with a faster recovery (Nasser, Acta Scandinavia Psychiatrica, 2004). You might need some couples therapy to help you get through this rough patch. I once worked with a couple, Jane & Tom (not their real names), that were at the end of their rope. Jane’s first child was now a five-year-old boy. They reported that Jane had a month of the “Baby Blues” after his birth. But 18 months later, Jane gave birth to their second child, and her soon her mood darkened considerably. Along with depression, she was increasingly irritable and sometimes fell into explosive rages. In their assessment, I could find no source for these intense feelings. Jane was baffled. “I’d have a few seconds of curiosity like OMG why did I say that? And then my curiosity would just get smothered by a dark cloud.” This funk went on for two miserable years before they began couples therapy with me. I suggested the idea of Postpartum Depression and urged Jane to get evaluated. The doctor tried a low dose of medication and Jane responded quickly. She jubilantly described “a dark cloud lifting.” We did a bit of EFT to process the anger and disappointment that Tom endured, and the couple quickly bounced back to secure functioning. Nancy Reagan – “My Turn,” her 1989 memoir. Nancy is right on. Postpartum Depression is one of those times. You will not get better missing therapy or doctor appointments. The most important person in your recovery from Postpartum Depression is you. It isn’t easy…and it isn’t fair. But if you’re one of the 13% of women struggling with Postpartum Depression, your baby and your partner are counting on you to do whatever it takes to hang in there and get the help you need. There will be times when both of you will have to give 90%. It’s also important not to jump the gun and terminate treatment at the first sign of improvement. You might slip back into darkness. Confide in your caregivers and let them guide you through the last phase of your recovery. Our therapist in Houston, Texas, Marisa Mundey in the Energy Corridor of Houston helps couples that are impacted by postpartum depression. Interested in contacting our Houston therapist Marisa? Reach out to us.